1. Tilts and pivots: To provide virtually limitless viewing angles. connecting cables with movement of arm. 3. Mounting options for all surfaces: Desk clamp and desk bolt available. 4. 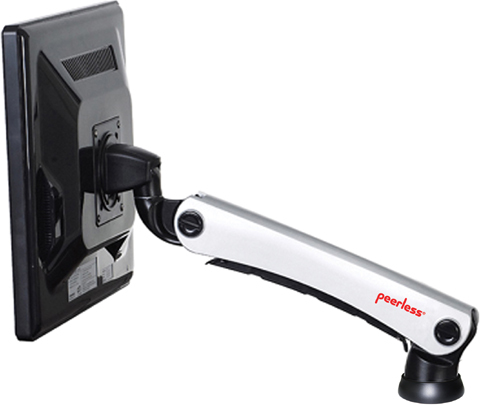 One-link arm pivots 360 degrees and provides internal cable management. 5. Quick and easy to install. 6. Compatible with VESA 75/100 mounting hole patterns. 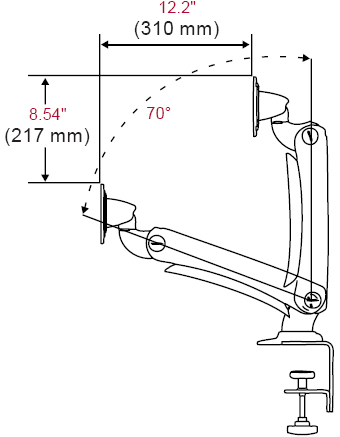 It is quick and simple to position the monitor to the users ideal viewing point and maximize work area when it is mounted on this desktop mount. This model is ergonomically designed and features smooth motion, spring-loaded architecture for the easiest height, depth and tilt adjustment of the monitor, assisting with reduced eye and neck strain.